Major Morgan was a hand-held electric organ with music cards that you could place on the front and make music with. I had one when I was younger and found it very hard to use. 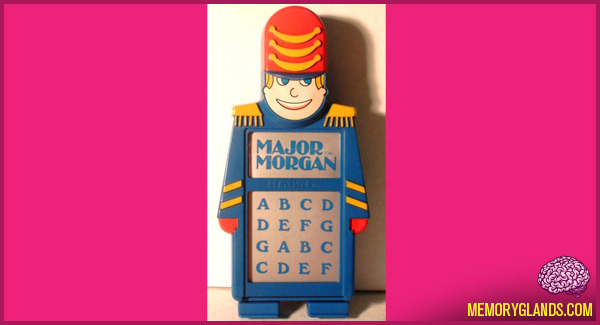 Major Morgan came with around 10 music cards and was shaped like an an army Major.